Yes, that’s right, you need a spa break! The hustle and bustle of modern life means that sometimes you just need to get away from it all and have some “you” time. We probably don’t need to sell the idea of a spa day or weekend any more to you but in case we do then here are 5 reasons to help you press book! Along with each reason, we have put in a suggestion of the place or where to look to find the one for you. Thanks to the internet, you can now browse hundreds of deals from hotels and spas who offer individual treatments, spa days and spa breaks that include an overnight stay. Prices vary depending on location, length and type of treatment as well as any extras such as food & drink that may be included in the package. If you can be flexible on the dates you are looking to do your spa day then you can get 50% off (and sometimes even more). One of the best places to start looking for these deals is on the Treatwell spa days deals page. You may see your best friend every Saturday night but how much time do you actually give you each other? Without the distraction of phones or others you can actually spend quality time with your best friend, sister, mum and others while in a relaxing environment. You’ll be amazed at the things you haven’t chatted about, the memories you recall and the laughter that will follow. The awareness of mindfulness and the direct benefits it has for us has been growing in recent years. One of the best way to tap in to his powerful self-awareness technique is to put yourself in a quiet and relaxing environment with the space and time to think. Invest in your mental health while your physical health gets some attention too! 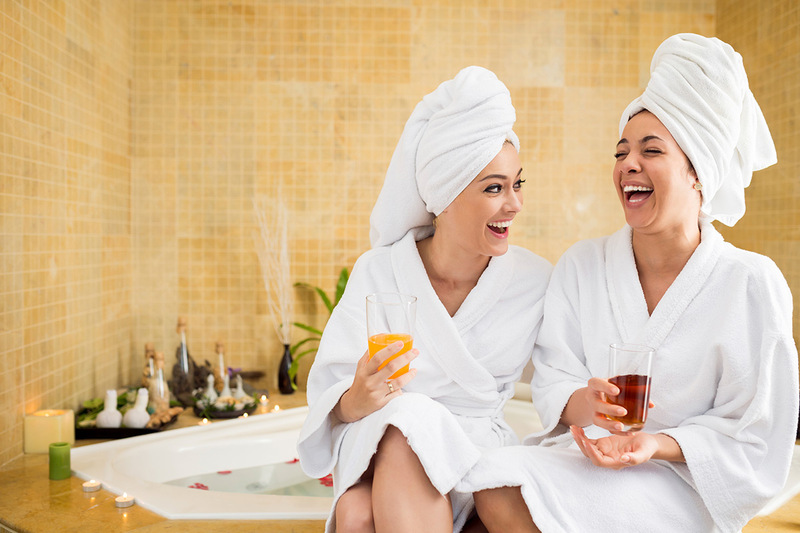 Taking time for yourself at a spa can have an incredible impact on your mental health and decrease anxiety through relaxation. If you want some additional support for managing your stress or mental health, you can talk with a therapist online. Let’s be honest, deciding on gifts can turn in to a nightmare! If you want to give someone a memory as much as gift then what says, “I love and care about you” more than a day dedicated to looking after them? Oh and the chances are, you get to go too so a win-win! You can give the gift of a spa treatment, day or weekend in a presentation box with these thegiftexperience.co.uk deals.